There are no more than 32 doctors in east Aleppo for an estimated population of 250,000. In response, doctors often work shifts at multiple hospitals and health centres, so that their specialist skills are available to as many patients as possible. Assistant doctors nearing the end of their training have also boosted the numbers of hospital staff. When mass bombings result in large numbers of wounded arriving all at once, everyone in the hospital helps out, including caretakers and cleaners. In the past three weeks, airstrikes have eased off, giving staff a chance to recharge after an intense period in which more than 2,000 people were injured and almost 500 people died. "When mass bombings result in large numbers of wounded arriving all at once, everyone in the hospital helps out, including caretakers and cleaners"
These supplies are likely to have been depleted quicker than usual, with the high numbers of wounded patients. “We are on the verge of finishing the last of our supplies and, once this happens, we will be facing an acute medical shortage, especially with medicines for chronic diseases,” says Mahmoud Abu Hozaifa, manager of a pharmacy in east Aleppo. “But even finding painkillers is a challenge.” As soon as it is possible and security conditions allow it, Médecins Sans Frontières is ready to send in more aid. 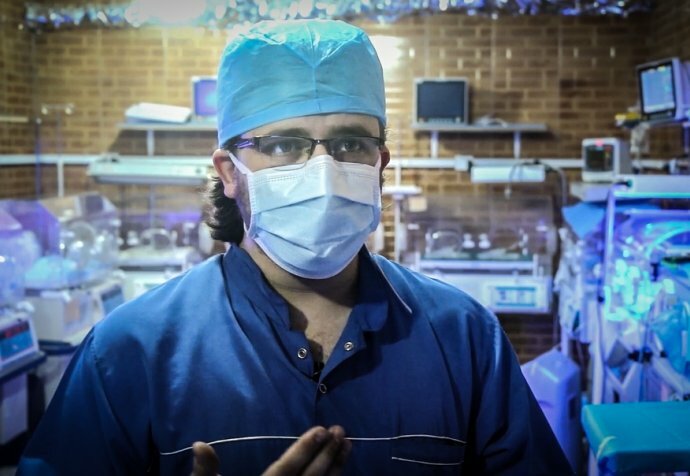 “We have already positioned in the area enough drugs to supply 12 medical facilities in east Aleppo – eight hospitals and four health centres,” says Eduardo Yanez, whose team is on standby. Hospitals have been forced to move underground to protect staff and patients from airstrikes. 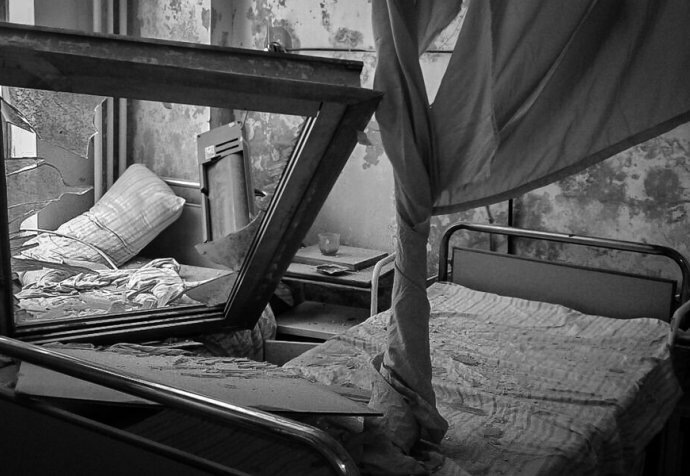 With the higher floors of hospital buildings abandoned, and emergency rooms, operating theatres and intensive care units shifted down into basements, there has been a significant reduction in the number of beds available for patients. Patients are opting to spend as little time as possible in hospitals. “Women have a caesarean and are out within a few hours,” says Sara Ferrer Roura. Many people prefer to visit local health centres, which are closer to their homes and have been hit less often by airstrikes. East Aleppo has been without electricity for months, and hospitals rely on generators to supply them with power for lighting and to run essential equipment such as life support machines and ventilators. But generators require fuel, which is increasingly hard to get hold of in the besieged area. Hospital staff are carefully rationing the fuel they use, running generators for just a few hours each day, or only when power is urgently needed. “They only run generators when they really need them for an operation, so to save fuel,” says Patricia Garcia Peinado, Médecins Sans Frontières field coordinator.